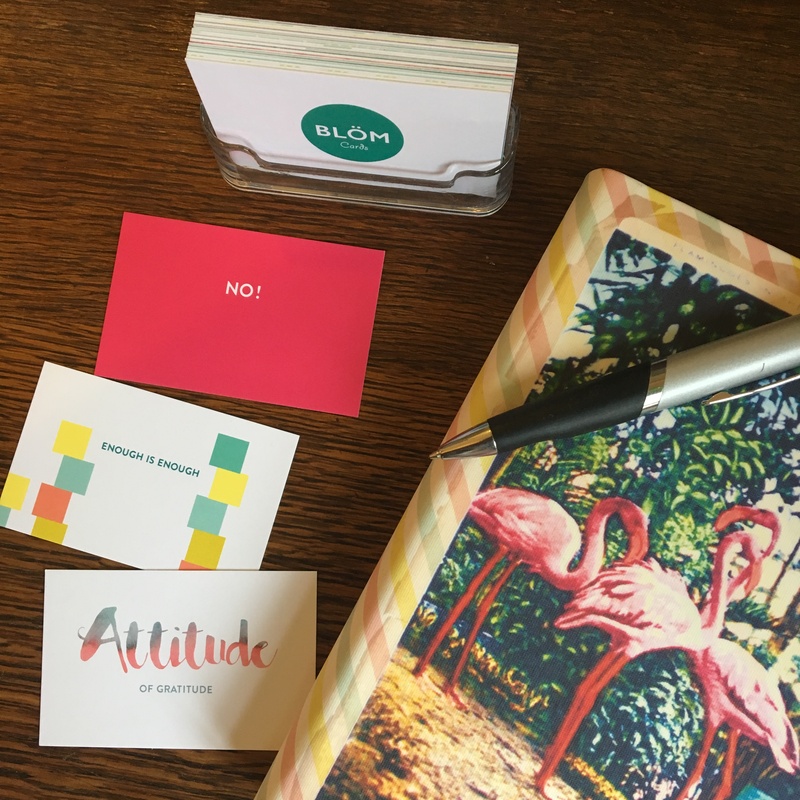 In simple terms, Blöm Cards are a mindfulness tool, a pack of 30 cards that come in a sleek acrylic holder so you can shuffle/display the deck as and when you wish. 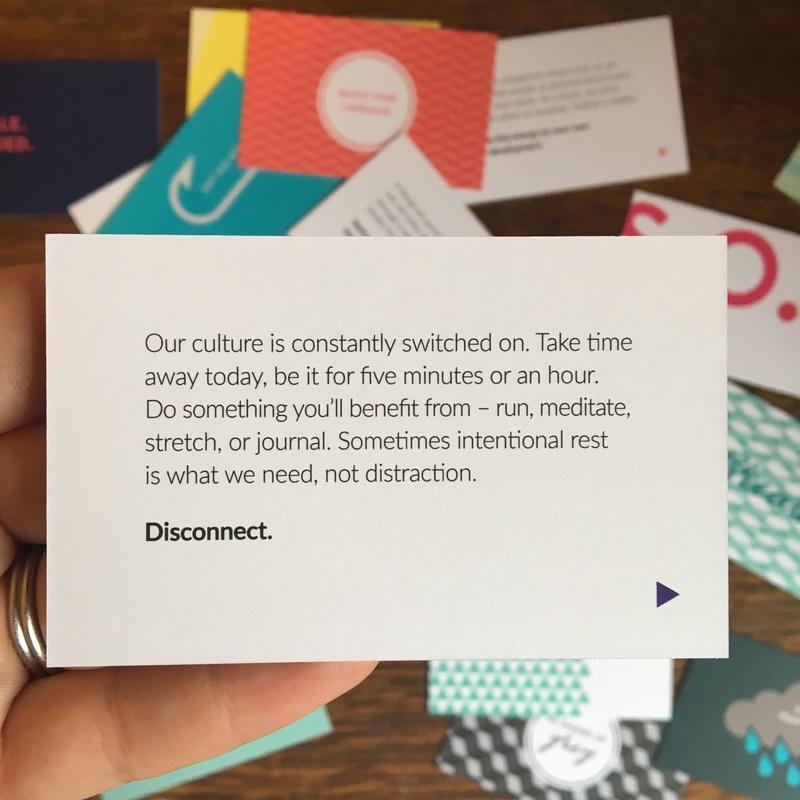 On your desk at home/office, next to your coffee machine/kettle – anywhere you like – somewhere in sight throughout your day. They encourage mindfulness, emotional development and self compassion. How to use? Focus on a card for as long as you want to. Let it prompt you to act and think. The result? A positive outcome and affect about the way you feel. 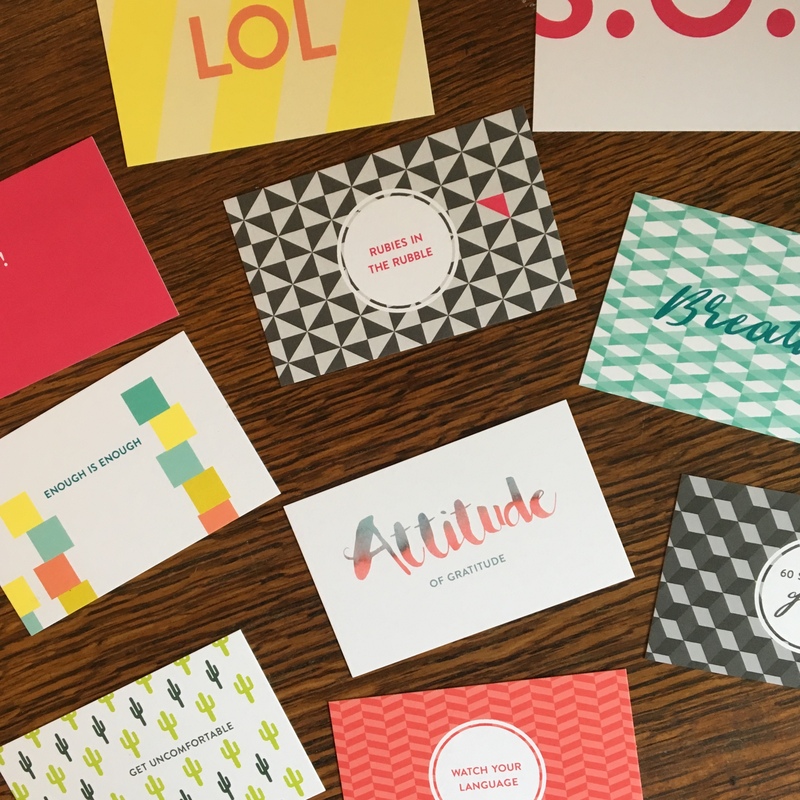 Every card is different – not just in the design but in the message too. Every card either gives you a task to do, makes you stop and think about an event or asks you a question that can only have a happy answer. 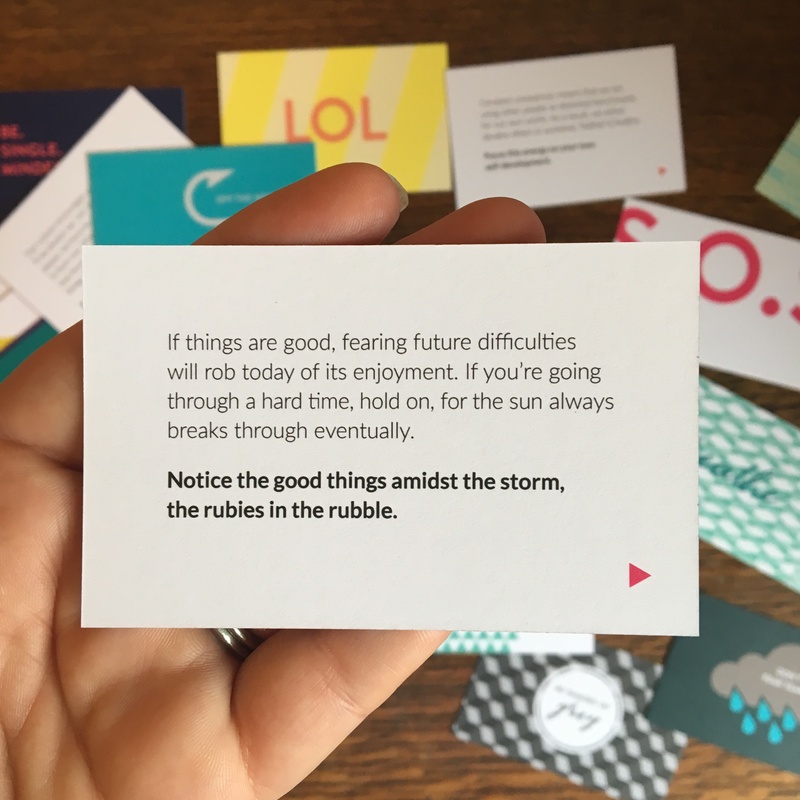 Being credit/business card size, these can easily fit in to your purse for an on-the-spot dose of positivity and encouragement whilst you’re out and about. Why not buy these for a friend in need? A friend who may need support and motivation. Maybe a friend who doesn’t know what day it is, or what way to turn? A friend who’s been through a rough time or perhaps even a friend who is fine on the outside but has tendencies on the inside who may just need some encouragement occasionally. 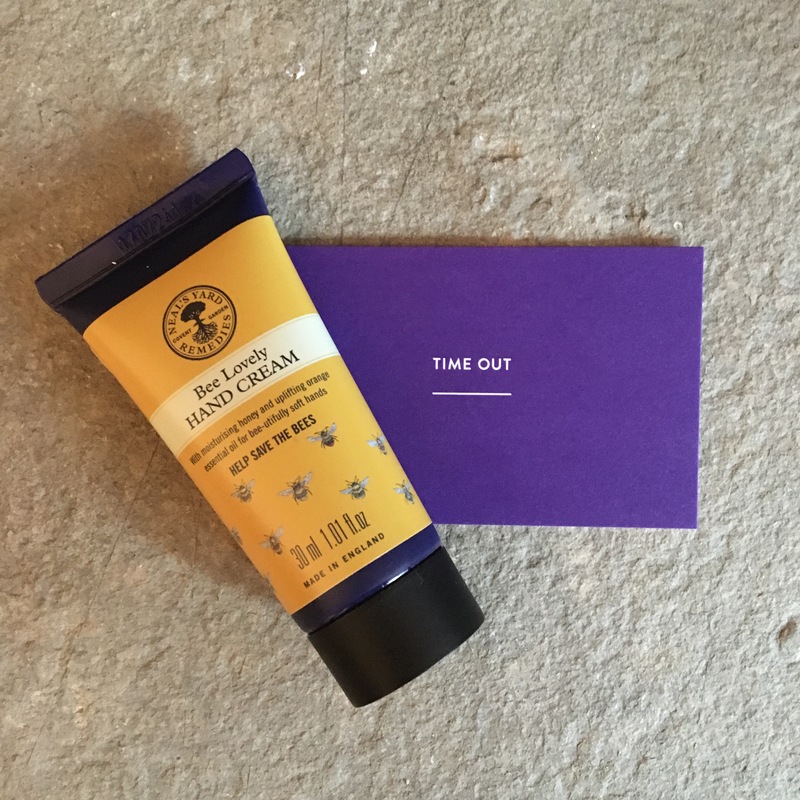 You might have a hectic schedule, whether that’s work life and/or mummy life otherwise, we all need a few minutes to recharge the batteries and to generally slow down. I’m so guilty of procrastinating… my to do lists are rather crucial for me to get stuff done! Perhaps you run a business? If so, then why not have these in easy reach for your staff to access should they need some positive motivation? 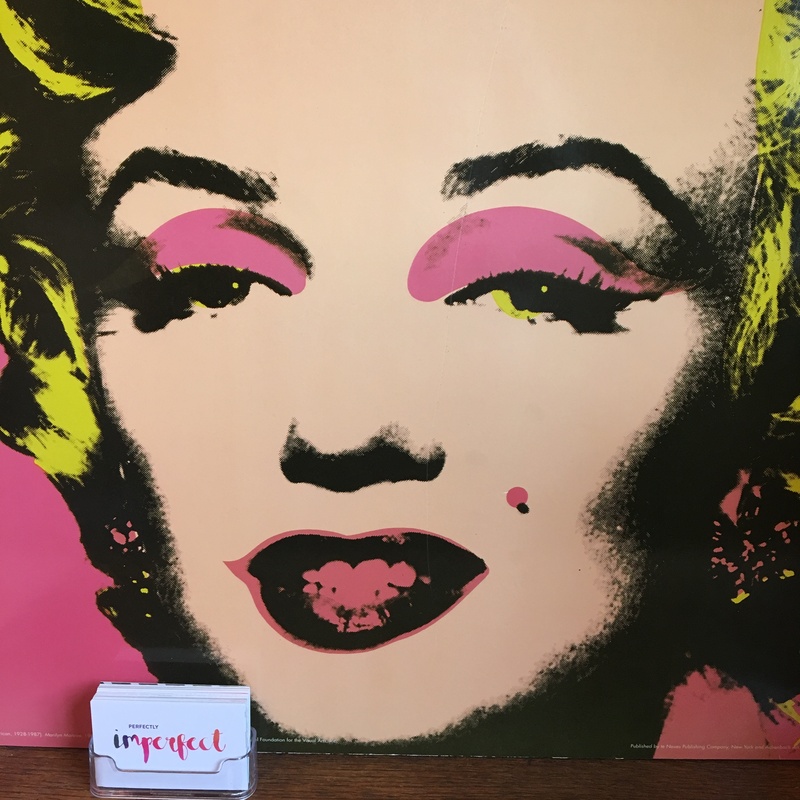 I keep mine on my desk – yes that’s Marilyn concealing a huge mirror, she is one of my inspirations after all. She could have done with a set of these cards! Disconnect from the current moment. Intentional rest is what we need from time to time. 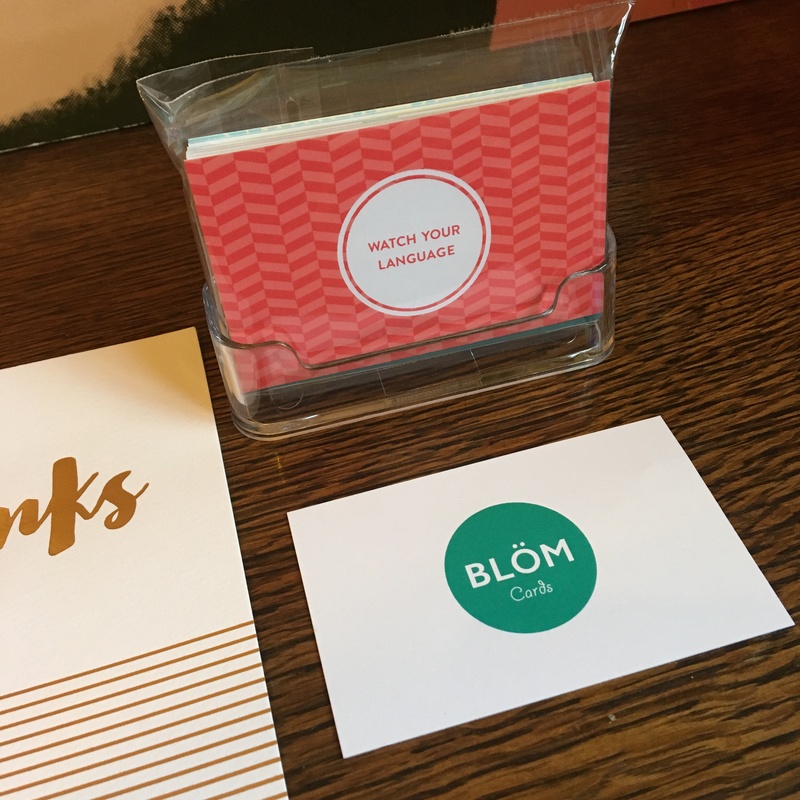 I was so excited to get my hands on a set of these Blöm Cards. I’ve read The Secret, and I’m a fan of all things mindfulness training (from years ago during a very dark time) and I was excited to see what these were all about. It’s okay to cry. It releases happy hormones! Someone recently said to me, you have two choices in like – one is to pick up and the other is to give up. I chose to pick up. My immune system has plummeted, and thus I’ve been full of cold and bugs, which is evidently because haven’t rested enough. My view is that I can’t rest, not if I want to regain positivity and look forward – I’m the sort of individual that has to ‘keep going’. But I have been proven wrong as there is a Blöm Card that is telling me to have time out and when I do have time out, even if just for 20 minutes, I feel so much better. I enjoy taking time out with a spot of pampering. Must do more of this! 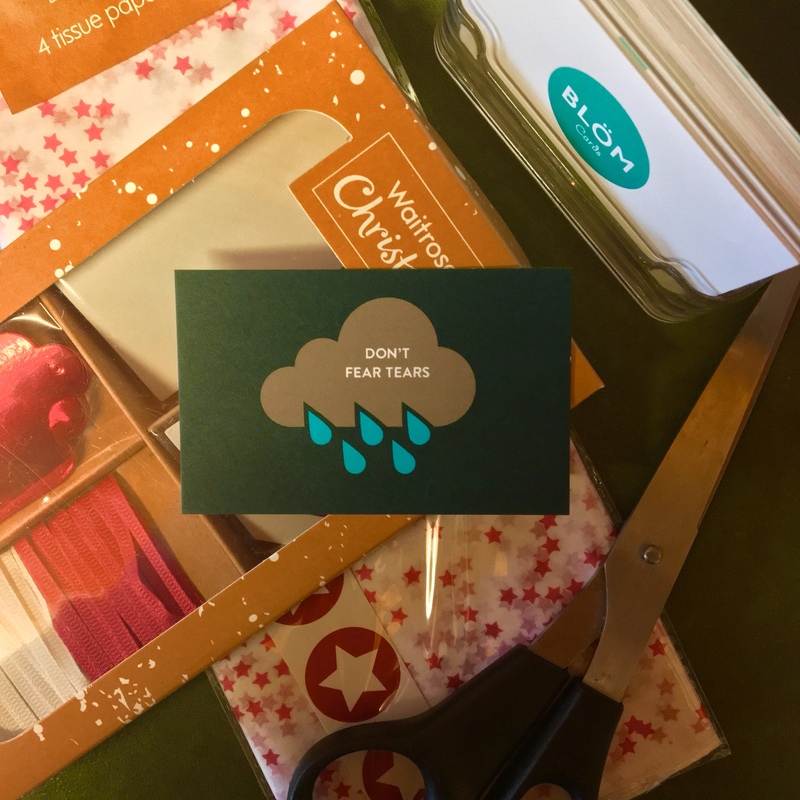 I hadn’t ordered Blöm Cards specifically for this time I’ve recently endured. It’s an unfortunate coincidence, but I must say, they have genuinely been great for me. Every now and then I will select one at random, read the message and task, and execute. Other days when I feel a certain emotion I frantically scroll through the pack to find THE card I need for that moment. 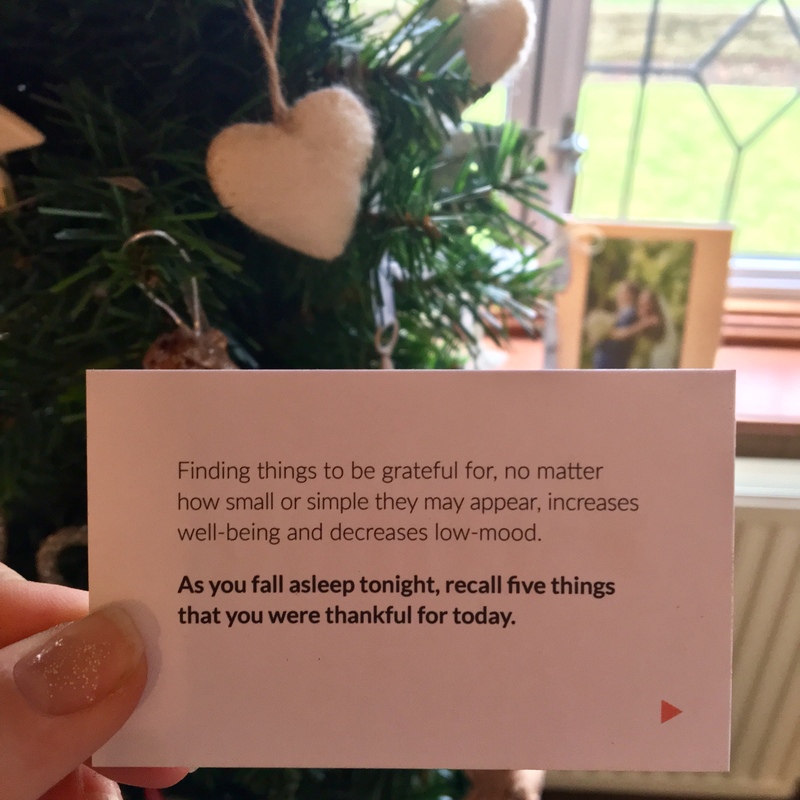 There are cards to encourage exercise, down time, to cry, to embrace, to reminisce, to identify what we’re grateful for, to remind ourselves what we love most, to accept compliments, how to focus and to take small steps. There’s an important message throughout to be kind to yourself. What are you grateful for? And what are you thankful for today? 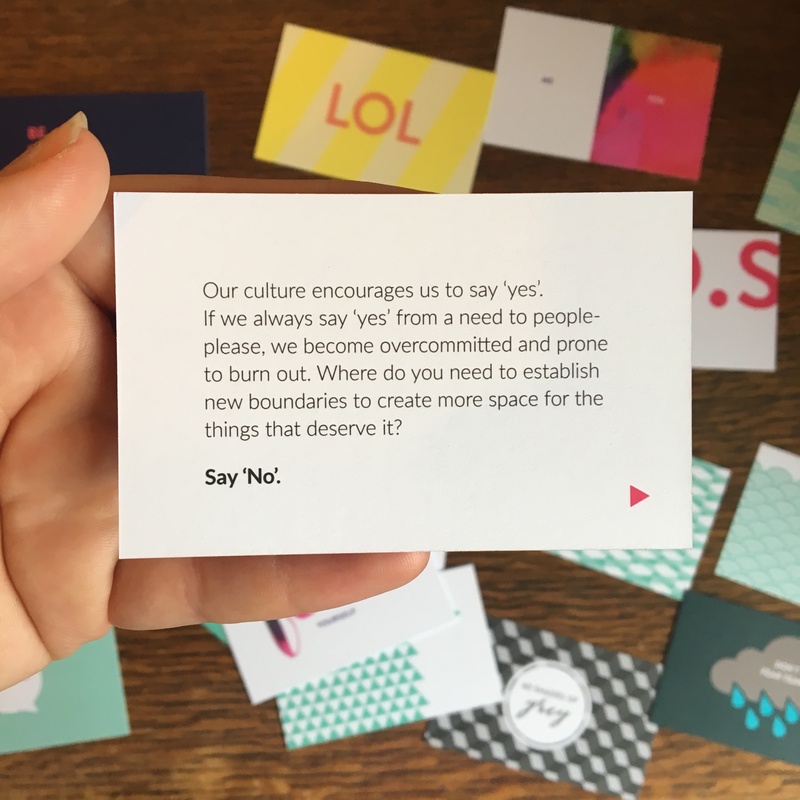 There’s even a card that tells you it’s okay to say “no”. So many of us are “yes” people, too frightened to let others down. 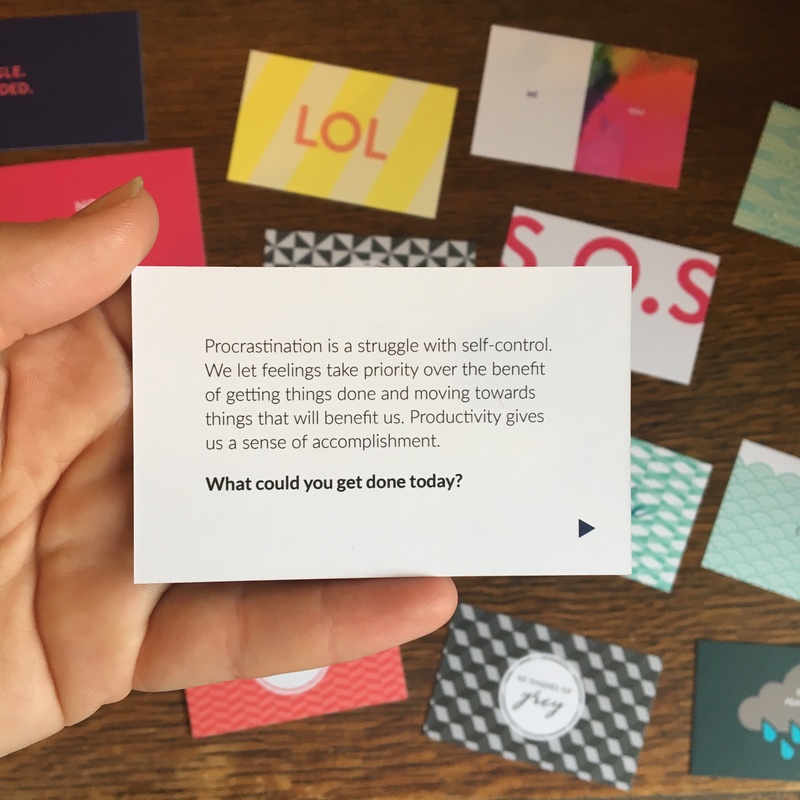 They’re not just for serious times of low, not at all, they can be used as a daily boost to encourage the most productive and happiest of days. And yes of course, they are a great tool to really help you get out of a deep rut of anxiety or the blues. They are designed to help you bloom and flourish, to which I really think they do. It’s a simple yet effective concept, and I love the designs too. 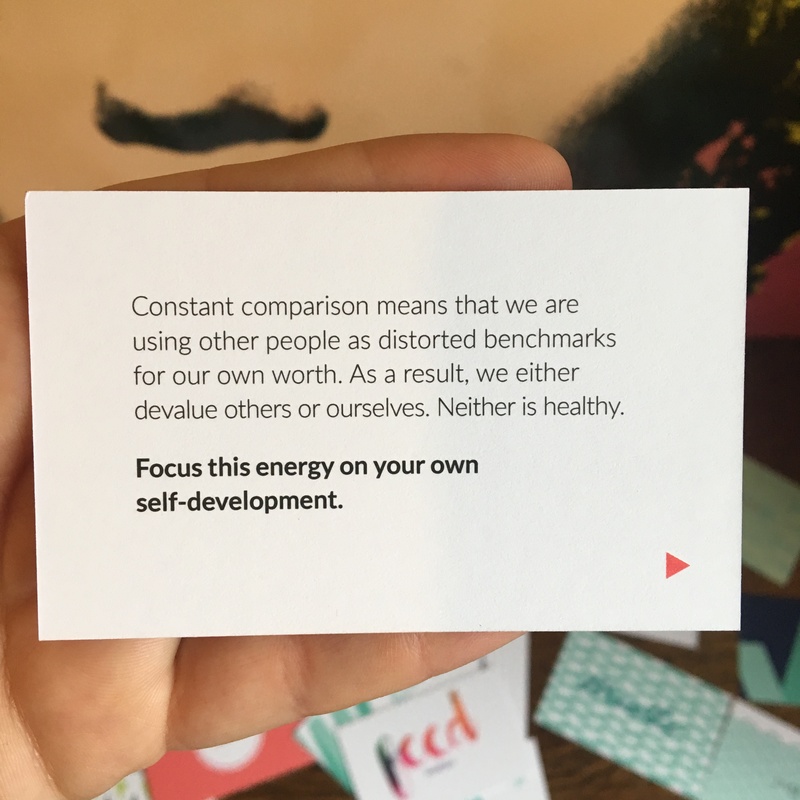 It’s ideas like these that work and fit in to our busy lifestyles and are allowing me to come out of a bumpy road and looking forward to upcoming celebrations and fun times. 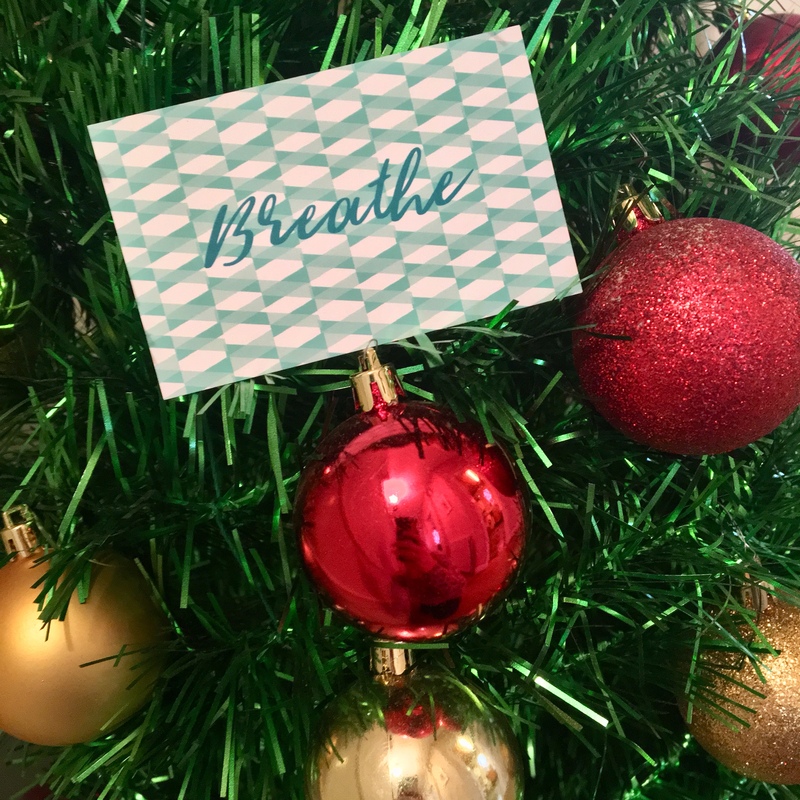 Find Christmas (& wrapping) emotional? 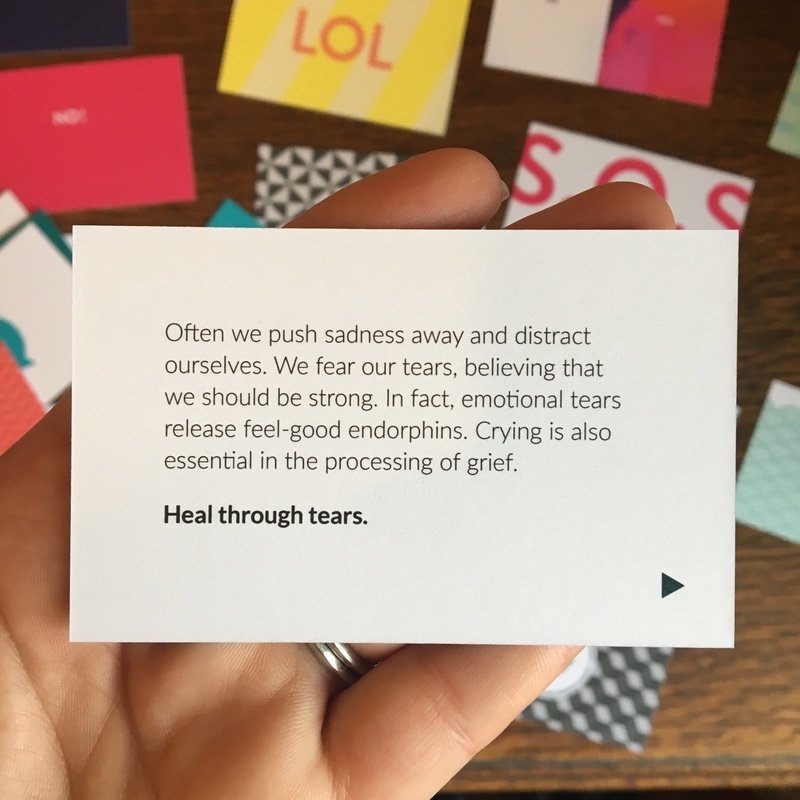 Have a good cry first, it will make you feel better and you’ll find the energy to get through it. The blogging world has opened up such a vast network of new ‘friends’. I say friends loosely because no, they aren’t people I see regularly or at all. They are (genuine) cyber friends, in the same place as you in life, who engage with you, comment and ‘like’ your pictures on Instagram and share your blog posts. They’re proud of your achievements, complete opposite of jealous, they support your initiatives and they’re also an ear. They’re people who inbox you for chats occasionally and some whom I’ve got to know really well have actually been there for me recently during a rather difficult time. 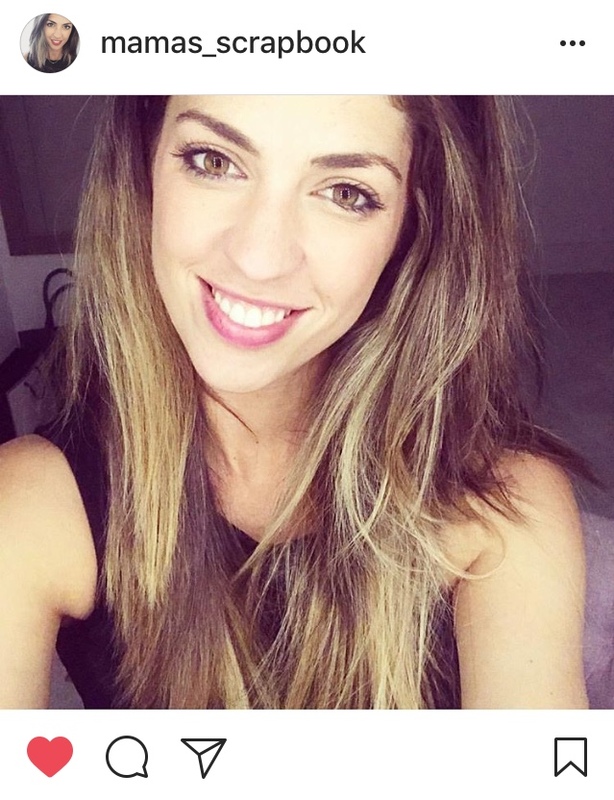 Those amazing humans and their ambitions and/or ventures, such as Anna launching this business, is more evidence of why the Munpreneur era is here to stay, and can be amazing. 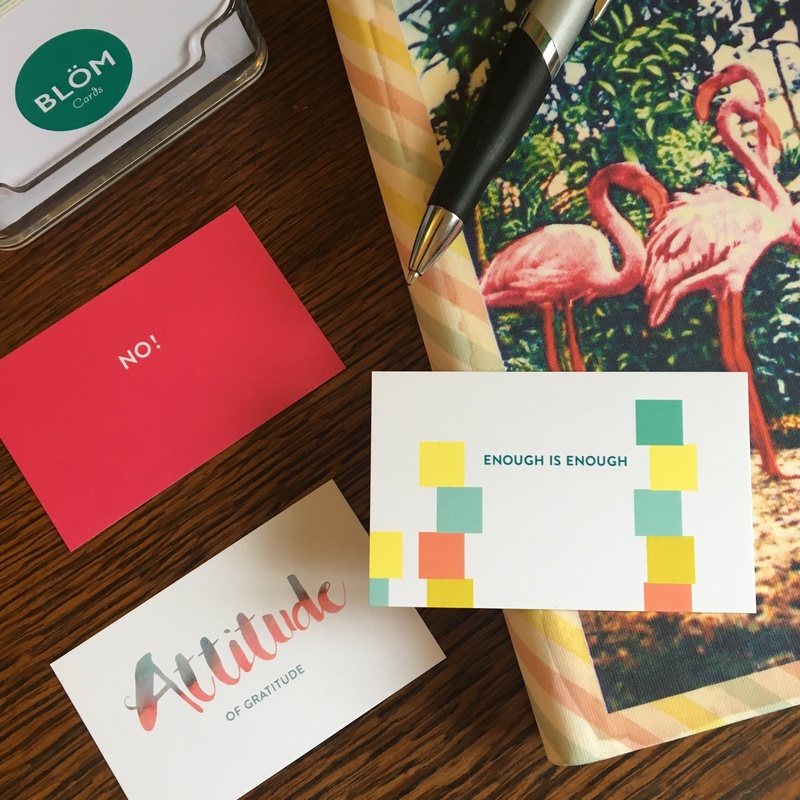 You can find Blöm Cards on Etsy by clicking here: And if you want to follow Anna for regular mindfulness tips and/or to simply watch her entertaining Instastories click here. 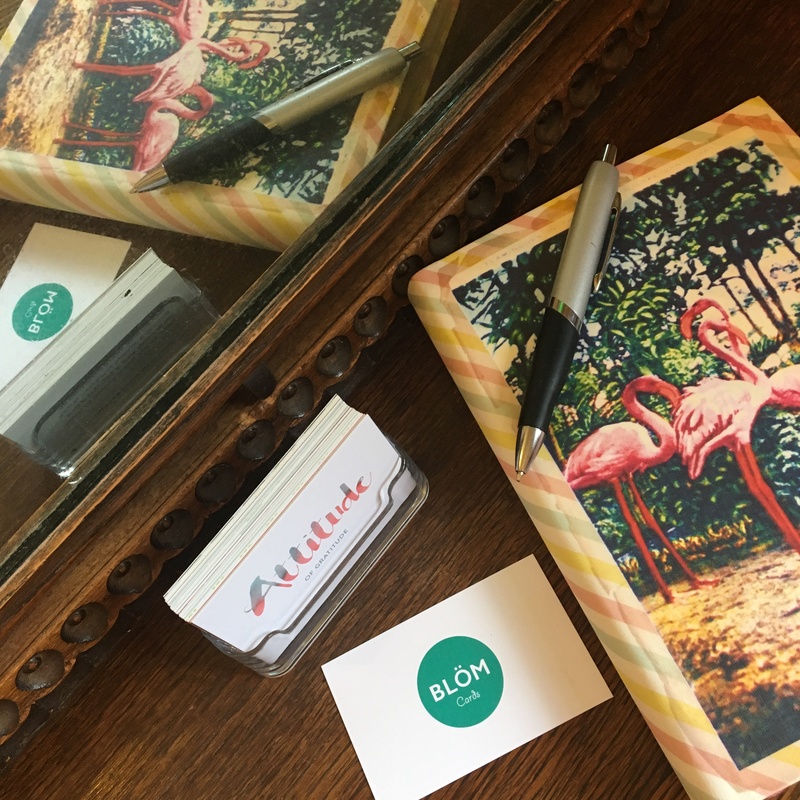 Thanks for reading and for sharing to those who may benefit from Blöm Cards.